The woman who appeared in my office doorway on May 20, 2010, wearing a slim white skirt suit was absolutely startling. Maybe it was her eyes—I’d never seen such jewel-green eyes. But the intensity of her presence was more than physical. 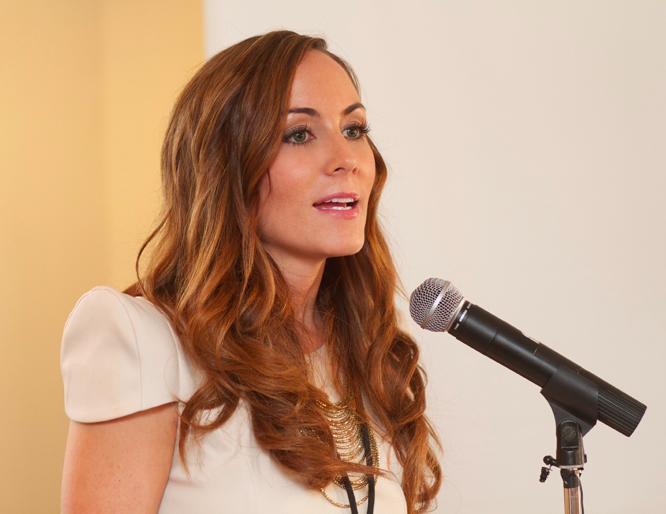 Amanda Lindhout radiated a kind of peace I hadn’t expected. After working for fifteen months on her case at the Committee to Protect Journalists, where I was senior editor, I had imagined her many times. She was the young journalist who at the age of 27 had been abducted by Somali insurgents and whose captivity had dragged on interminably. Taken with fellow freelancer Nigel Brennan, Lindhout was never far from my mind. Of all the horror stories I’d reported and edited over my years at CPJ, hers stayed with me day and night. Lindhout was reporting in Somalia in August 2008 when teenage boys kidnapped her along with Brennan, Somali translator Abdifatah Mohammed Elmi and driver Mahad Clise as they were returning on the Afgoye-Mogadishu road from interviews with refugees at a camp called Celasha Biyaha. The captors freed the translator and driver after 150 days. As the months wore on, I couldn’t get past my dread that Lindhout’s story would not end well. That there had been so many unsuccessful negotiations with the two governments involved (Canadian, hers; Australian, Brennan’s) over so many, many days pointed toward an unhealthy outcome. In the meantime, I couldn’t keep myself from imagining what she might be enduring. Was she being fed? Was she being abused? Was she being raped? The rumors coming out of Somalia weren’t encouraging: she was pregnant (untrue); she was “married” to one of her captors (untrue); she was being tortured (true). Much of what I was imagining turned out to be right. Lindhout was being raped and treated little better than a goat before a sacrifice. She was being kept alive, but barely, fed two or three tiny squares of animal fat a day or a piece of a hot dog bun. Just enough to take her to whatever the end would turn out to be. Fortunately, though, I was wrong about something important: Lindhout would get out of her situation alive. After 460 days, she and Brennan were released in exchange for just over $600,000, which had been negotiated down from an original asking price of $3 million. And not only would Lindhout get out alive, she would eventually do something nobody expected or could have imagined.